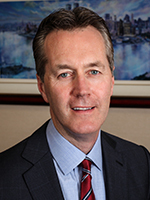 James McCrorie started his legal career after attending Hofstra University Law School, and graduating in 1992. After being admitted to the Bar in both the State of New York and in the Federal Court system, he served as an Assistant District Attorney in Nassau County. He immediately established himself as a tough litigator and decided to carry that reputation over into his own practice. He became known as someone who would take a case to verdict if the right amount of compensation was not offered to his client. Since that time, he has built upon that reputation, and is known as an attorney who can, and does, achieve multi-million dollar recoveries when the insurance companies refuse to pay a fair compensation. Mr. McCrorie is an active member of the New York State Trial Lawyers Association, as well as an adjunct professor at the Hofstra University School of Law Trial Advocacy program. He has also lectured in the area of Construction Law and Trial Advocacy for both the New York State Bar Association and New York State Trial Lawyers Association. He is a highly respected member of the legal community, and is often called on by other members of the profession to try their cases when adequate settlements cannot be reached. In fact, he has been nationally recognized and ranked among the country’s top 500 attorneys by the independent lawyer ranking company, Lawdragon. 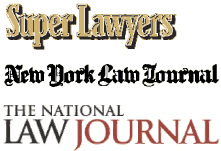 He has also been voted by his peers as one of New York’s SuperLawyers multiple times in the area of Plaintiff’s Personal Injury – a recognition given to only the top 5% of attorneys in any given category. James McCrorie is a family man who carries that mentality over into his practice, treating each and every client as if they were part of his family.